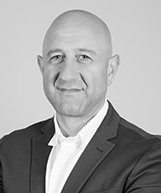 Rob is a global business leader with proven ability to translate vision, strategy, technology and innovation into existing and new commercial revenue streams across a range of industries including Energy, Utilities, Telecommunications and Defence. He has been an innovator and inventor in IoT in the area of machine-to-machine sensing, communications, wide area networking and enterprise software and has successfully leveraged those entrepreneurial skills as a leader in start-ups (Australia and USA), University-based commercialisation and large global corporates. Rob was President of Gridsense in the US where he drove the company’s M2M monitoring & control solutions into the Utility sector on the back of a public listing. He was the Asia Smart Grid leader for General Electric, including its range of Enterprise Software, Hardware and Services solutions and more recently EVP of Grid Net, a silicon valley M2M enterprise networking software startup. He has a Bachelor of Electrical Engineering and is a Fellow of the Australian Institute of Company Directors.